Looks interesting. I added it to my list of books to check out. Sounds like an interesting book. Looks like there's something for everyone in it. Would love to win it. I would check for patina tips in that book! Looks like a great book - thanks for the chance! Would love to see what new techniques I might be able to incorporate into my designs! Interesting book...would love to have it. Entering for my friend Chris Murphy! 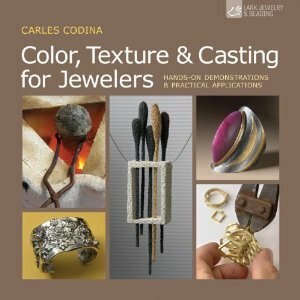 My goal is to take my jewelry making in new directions in the New Year, and this book will make it a more exciting journey. I wish I win! Merry Christmas.